Feeling like a bit of a chat about creation or just... whatever (not necessarily sims)? Check out our #social and #create chats. Just make sure you read the rules first before you enter the chat! Hi guys! This is my first serious attempt with Marvelous Designer software. I hope you like it! *Teens, Young Adults, Adults and Elders. *Everyday, Party, Athletic, Cold Weather. *Works with Sliders and morphs with fat/fit sliders. 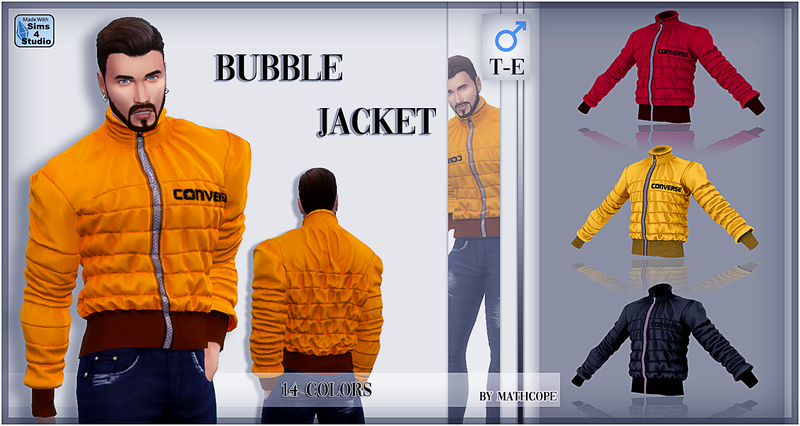 Jacket Mesh: 14 Swatches . PLEASE READ TOU before editing it. If you have any questions/troubles send me a PM. Feyona For the help with the retopology. 81 people have said thanks to mathcope for this download.